Online directory websites are a flourishing business. And with the advent use of the internet, such websites are becoming more popular and useful as people constantly look for answers on the internet. 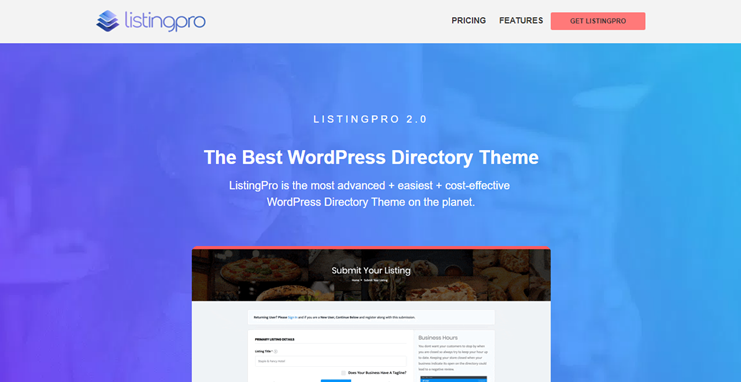 If you are too thinking of creating a directory website for yourself using the ListingPro directory theme, here is an in-depth ListingPro theme review. Here, we have evaluated & explained its feature so that you can decide if it is fit for your business idea. How to set up your site using the ListingPro directory theme? When creating a website on WordPress, you can choose from plenty of niche WP themes to get started. 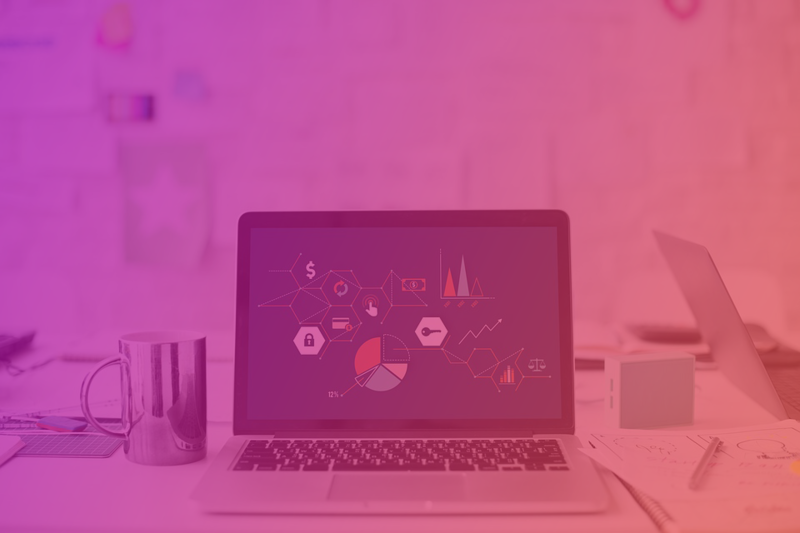 If you want to start an online store, there are plenty of eCommerce websites, if you want to go for a business website, there are abundant corporate business website themes, and the list goes on. ListingPro is one of the best directory themes for WordPress. 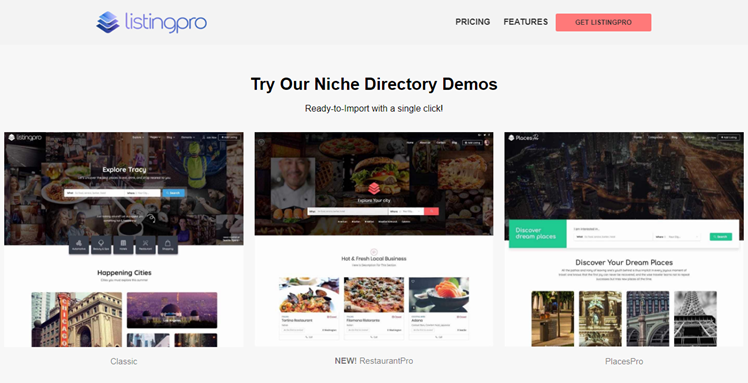 It is a premium directory theme from the developers at Cridio. Besides being beautiful and one of the best selling directory theme, there are many other features that makes it one of the best selling directory themes of all time. Over years, creating and maintaining online directories has emerged as one of the most successful form of online businesses. Thanks to the Directory software and the various directory platforms that make creating and maintaining directory website so convenient. While there are different website builders and platforms and software for building a directory website, we recommend using WordPress to create your online directory website. You can skip this part if you are not new to WordPress and already know the advantages of using WordPress for your online directories. But if you are new to WordPress and wondering if WordPress + Listing plus directory theme is the right choice for creating online directories, then proceed without skipping. WordPress is really easy to use. You can start creating and managing your website on WordPress without any technical expertise. WordPress is for everyone, no programming or coding skill needed to use this CMS. There are plenty of ready to use WordPress directory theme you can choose from. So creating an online directory gets a lot easier with the pre-programmed, and professionally designed templates. WordPress is SEO friendly, which is one of the biggest advantages for your website in a long run. It is really easy to add more features to your WordPress website with the WordPress plugins. WordPress community is large and the theme providers offer technical support, and they can help you with your website setup and customization which is really essential for you if you want to start a new business. Besides, WordPress is highly flexible, it is open source, it is free and there are innumerable reasons why it is best for creating an online directory website. The ListingPro theme is a flexible and highly customizable directory theme that you can use to create online directory of any niche. 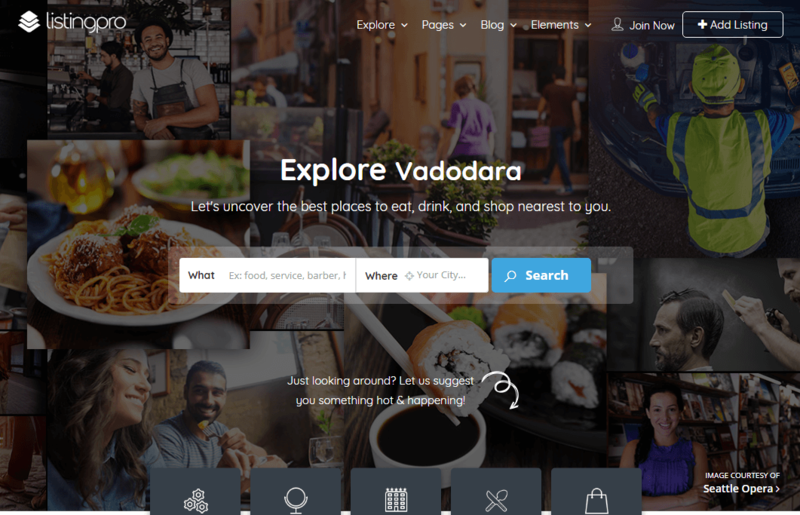 You can use this theme to create a simple location-based directory, an automotive directory, a directory for events, review and rating directory, a restaurant directory, a city guide website, etc. With the features and customization options, you can make this theme look and work as per your requirements. Moreover, there is custom field support, that we will discuss in detail later in this article. With custom fields, you can make your listing as informative as possible. Starting on a blank site can be really confusing, therefore, this feature-packed directory theme comes with demo data to get you started easily. By importing the ListingPro demo data, your website will start looking exactly like the ListingPro demo. However, there are different variations of demo designs to choose for. Importing the demo content will set all the design elements, widgets in widget areas, sample banners, and install some sample listings so you can understand your site better. With the sample data installed, you will have your website looking like a professionally designed site with example data. All you are required to do now is to edit your site with the easy options and replace the example data with your actual content. ListingPro WordPress theme comes with easy customization options to personalize your website as much as possible. The dashboard of this theme comes with well organized and intuitive options to let you change the colors, fonts, and other things about your website. ListingPro supports the page builder by WPBakery for drag and drop page building functionality. The page builder by WPBakery is a premium WordPress page builder but comes included ListingPro for free. So you won’t have to buy it separately. With the page building options, you can change the appearance of each and every element on your page just with the drag and drop options. So you can totally change the appearance of your website with easy options without being a technical expert. It is really fun to be able to change the appearance of your site without being a designer. Also, the options and settings are well-organized so that you don’t end up messing up the design of your site. Therefore, achieving a personalized and professional look for your online directory website is simple with the Directory WordPress Theme. Is the Listing pro theme easy to set up and manage? Yes, ListingPro WordPress theme is really easy to set up and manage, even at a beginners level. Mostly all of the premium WordPress themes are designed to make sure that they can be used by WordPress beginners as well as programming experts. You will find the backend of this theme loaded with well organized and intuitive options so that you can easily personalize your website. It is safe to say that everything in the ListingPro WordPress Directory theme can be managed without editing a line of code. Even if you are a WordPress expert, you will need the documentation of the theme as it explains the individual elements and the working of your theme. ListingPro WordPress theme comes with documentation with more than 200 articles on different subjects. This knowledge base can help you find answers and to understand the functionalities of your theme. Also, you can rely on the theme support if the documentation doesn’t help. The engineers at their help center will respond to your queries with a relevant and useful answer to your questions. So if you have any doubts or confusions, the support will help you understand better. And above all, are the video tutorials and helps to make it easier for their users. Therefore, as far as documentation and support are considered, ListingPro theme’s help channels are well up to the mark. If you are building a commercial directory, then you would like a directory website template with multiple options to convert your visitors into paying customers. However, the Listing Pro WordPress theme comes with different options to help you make money through your website. With the available options, you can easily integrate the best money making features and use it to make money through your website. The easiest way to earn through the ListinPro theme is by displaying advertisement banners on your directory website. Since Online directories are prone to have massive traffic, the advertisements can earn you good revenue at the earlier level. The advertisements can be sponsored advertisements through banners, or you can use the advertisement network’s service like Google AdSense. Since both types of advertisements are supported, you can choose one or implement both ways to earn through advertisements. When creating a website using the ListingPro directory theme, you can also earn by allowing paid listing submissions. Your directory will serve as an advertising platform as well as an information portal where the visitors can search for information. Therefore, those businesses who want to be listed on your WordPress directory can be allowed to pay and submit their listing through the inbuilt submission form. The submission form and the whole paid submission procedure comes pre-programmed and therefore all you have to do is create the pricing packages and start allowing paid submissions on your website to earn through it. Do you already have businesses listed on your site? Then you can allow the business owners to claim their listings and have the ownership of the listing on your website. The ownership claim feature of the ListingPro directory theme lets you set a price for the visitors to submit the ownership claim. This technique works when you have a lot of businesses already listed on your website and want to allow them full access and ownership. Add the book now feature to your website with this directory listing WordPress theme. With booking features, you can allow visitors to make bookings and pay online through your website’s payment processing feature. This can be an appointment booking, room/service booking, or table booking. The booking system used is Timekit and resurva. Another way to make money through your online directory is through featured listings. Sometimes, the listing owners may want to draw extra attention to their listing and have their business featured on your website. And what better place than the homepage banner to have the listing featured? With the listingPro directory theme, you can set the price of the featured place and duration for which the listing will be featured for the given price. Apart from the ones already discussed, there are several other features in the ListingPro directory theme that can help you build efficient directory websites. The listing directory WordPress theme allows you to create custom fields for your directory listings. So if there are more fields that you want to appear on your listing page, you can easily add them. Moreover, you can even edit, remove or update an existing field. The custom fields can be set particular to listing categories. So you can have different fields for different categories. This makes it possible for the ListingPro WordPress directory theme for different niches and have fully customized listings. Create an attractive video banner for your directory website with the ListingPro Directory WordPress theme. The high-quality video banner will surely make your website look more interesting. Besides video, the theme also supports a slideshow of images as the homepage banner. With the easy customization options, you can change the banner image/video to suit the niche of your site. Add events listings on your website and start maintaning events on your website. The ListingPro directory theme comes with an inbuilt events management system that lets you add event listings on your directory website. Therefore, you can use this ListingPro WordPress directory theme for creating an events portal as well. On the other hand, you can use the events management feature of this directory theme to create an events listing type along with your commercial directory services. There are multiple ways you can make your directory useful and more meaningful for your users. One of them is using the inbuilt rating and review system for rating the places/products listed on your website. 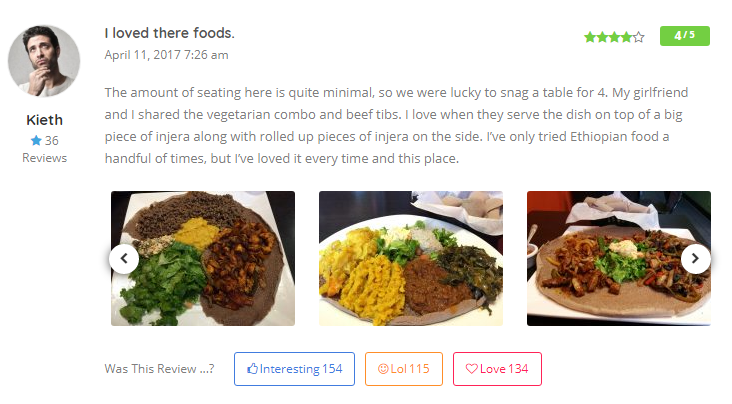 The start and emoji based rating system make your website more interesting for both: the reviewers and the readers. If your WordPress directory website is about booking and reservations, you can use the integrated booking system of the ListingPro WordPress theme. This Listing directory theme uses resurva and timekit for allowing bookings through your website. The theme comes with enough documentation and resources regarding this so that you can allow and manage bookings on your directory website created with the Listing Directory Theme. No size or design can fit all. You certainly would want to change a few things about the template you use for your website. The included page builder by WPBakery makes it possible to change how your theme looks and works using the drag and drop page building options. So you can edit the existing one, or create new pages easily. Create sections and use page building elements to create the design of your own. The premium page builder plugin is one of the best of it’s kind and is easy and fun to use. The location-based features on your listingPro WordPress theme are enabled by Google Places API. To restrict locations for specific country you can use the available shortcodes. Moreover, there are geo-location features to detect the current location of your visitor and provide relevant results. For further facilitation of your visitors, there’s the Near Me feature through which they can find the listings near them, on your directory portal. Another interesting feature that further improves the usability of your online directory, is near by listings feature on the listing detail page. Earn by displaying advertisement banners on your WordPress website. You can display advertisements on multiple locations to earn and generate leads. Earning through advertisements is the easiest way to make money through your website using the ListingPro directory theme. The live search enables your visitors to instantly find their listing on your website using a keyword, category, etc. Also, there are smart filter options to allow users to easily sort and search the listings and results on your directory website. Allow your directory website visitors to submit a listing on your website with a front end submission feature. Create pricing plans, allow registered visitors to submit their business listing. You can change and manage the custom fields for your submission form and you can customize what details a listing will show. Moreover, there is a preview option, that enables the visitors to preview how their listing will appear on the website before it is actually submitted. There is an inbuilt mechanism to manage the listing claim feature and help you earn through it. The admin of the website has the full control over accepting or rejecting the claim. The listing pro WordPress theme is SEO optimized to make sure that your directory website ranks well. Moreover, you can use the WordPress SEO plugins for further SEO optimization of your online directory. This theme works great with the Yoast SEO plugin. You can even try integrating any other plugin like All-In-One SEO pack, etc. There is an inbuilt mechanism for the vistos to bookmark the listings on your website. The bookmarked listings will be visible to the registered users on their dashboard when logged in. This helps the visitors to save their favorite listings and find them easily in future when needed. 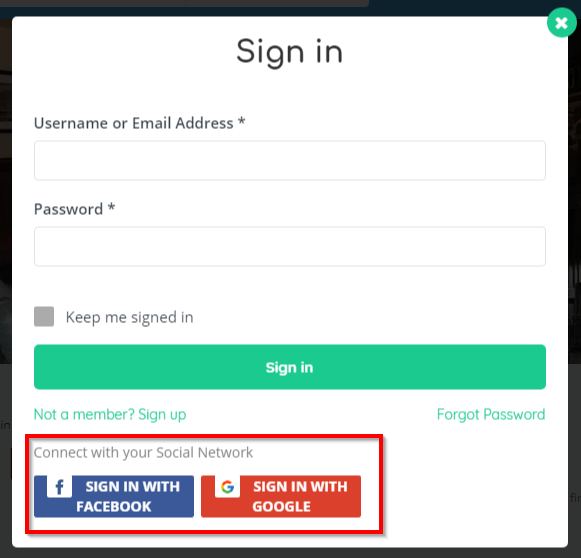 Social login is one of the most desirable features in any website that allows registration and login. The ListingPro WordPress theme allows you to log in via your social media profiles. Besides, your directory website created with the ListingPro directory theme is social media ready. Every listing page can have social media sharing options to allow the interested visitors to share the listing pages. This makes it easy for you to use social media to promote your website and listings. Therefore your website can have the advantages of social media to attract traffic. If you want to add multiple listings at once, you can use the bulk import options of the WooCommerce. So you can easily add all the listing data in the CSV format. Besides the ones mentioned above, there are other features like spam protection and reCaptcha, menu card features for restaurants, an inbuilt invoice generation system to generate invoices, etc. The ListingPro is one of the top selling WordPress themes on the ThemeForest marketplace. This product is available for download at a nominal price of $69 and is available to download from the ThemeForest. The ListingPro theme is quality checked by the Envato studio and comes with free future updates, whenever they are released. 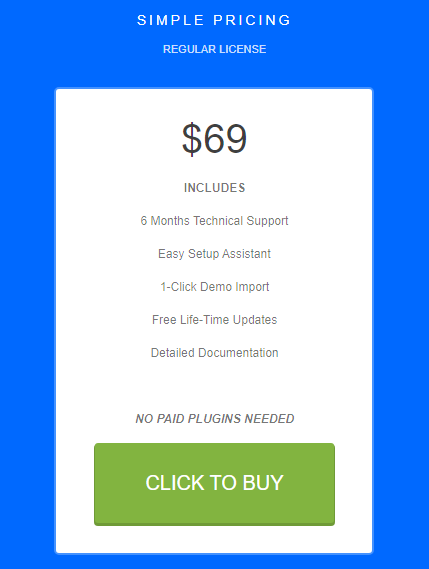 At $69, you get 6 months of free technical support. If you want additional support, you can pay an additional $21 and get support extended up to 12 months. Creating an online directory is very easy with the ListingPro WordPress theme. These are four simple steps to create an online directory with the ListingPro WordPress Theme. The first thing that you will need for your WordPress website(or any other website built using any other platform) needs is the domain name. For starting your directory website with the ListingPro WordPress theme, the first step is choosing a domain name. A domain name is like the permanent address of your website on the internet, so take your time, apply your logic and conditions and come up with a few domain names. I said a few names because you will need alternates if the domain name you choose is not available. An ideal domain name is short, easy to remember, unique and relevant enough to represent your website. The next step is procuring the hosting space where you will host your directory website. A directory website stores a large amount of information and is prone to have a lot of traffic if successful. So Choose a reliable and secure host that promises maximum uptime and efficient troubleshooting if anything goes wrong. 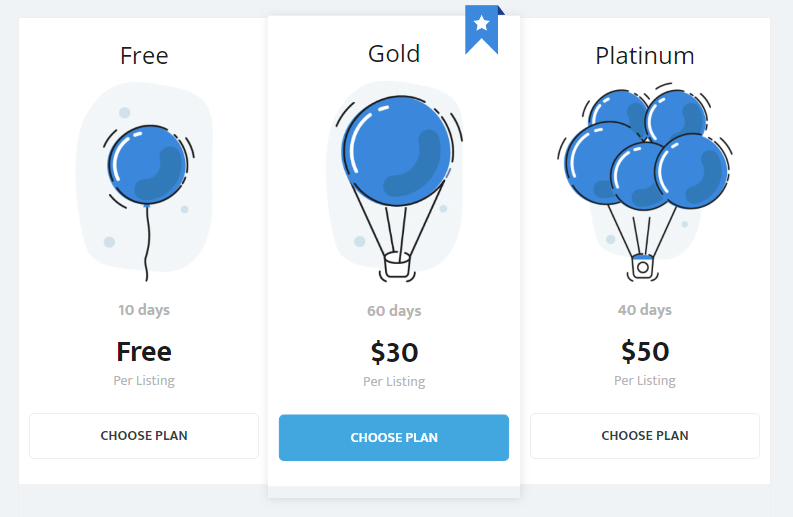 We recommend Bluehost for both: Domain name and hosting because it is fast, efficient and has some affordable pricing plans to fit your budget. Once you have the host and domain registered you can proceed to buy the ListingPro theme. Download the theme zip file and install the theme. The instructions for installing and setup will be included in the theme documentation. Rest assured, the process is easy and you won’t have to go through a complicated process to install and activate the theme. Also, the demo import will make your site almost ready to go. Now what you have to do is to use the customization options and personalize your directory website as per your requirements. The following are the customizations you would like to make at the initial level. At primary stage, you can update your logo and change the branding of your ListingPro theme. Next, you can try changing colors and set backgrounds, fonts, and font colors, etc. If you are starting a niche directory like an automobile directory, or an online directory for education institutes, or an events directory for tech events, you will have to update the existing design with suitable stock images. Change the text, change the images and banners, and the page names and everything you need to fit your requirements. Ultimately, it should look like a niche directory, just by the look of it. Design your menu smartly to cover all the important links of your website and use the instructions in your theme documentation to set the menu for your website. Footer of your site is accessible from every page on your website, therefore, you can check the footer to make sure it contains all the necessary links and the copyright information for your website. Make sure you have the details corrected in the contact page so that interested visitors can reach out and get in touch with your easily. While the ones mentioned above are just a few important aspects, you can customize your website as much as you want. We are talking about online directories and to be honest, creating and maintaining them is not as easy as creating and maintaining ordinary business websites. However, progressing step by step with your online directory will make it much easier. Here are the simple steps that you can follow to start a directory. Check the custom fields on the submission page to make sure it includes all the fields you require. These were the basic directory functions that need to be checked and properly set at the initial stage of starting a directory. However, you should keep in mind that you won’t start getting traffic and submitted listings instantly, only proper promotion and maintenance will get you there. Read: How to start a directory: A complete and in-depth guide to launch WordPress directories and maintain them. The first struggle with your directory website is how to get the traffic. Soon after starting directory, you will realize that you have to do something to gain visitors on your website. There are different ways to promote your online directory and they are always different based on the niche and scope of your directory website. The easiest way is paid advertising: decide on an advertisement channel that could work for you and pay to promote your website. Next is optimizing your website for search engines. ListingPro is an SEO friendly theme and so it has its advantage. However, make sure that you pay attention to every small detail that affects the SEO of your website. For example URLs, page titles, proper keyword optimization, etc. Besides, you can rely on the digital marketing services to help your directory website built with ListingPro WordPress theme, rank well. The Listing pro directory theme is completely multipurpose and comes with a premium page builder included for free. So it is possible to use this theme for almost any purpose. Moreover, the ListingPro theme allows custom fields, so your listings can be customized to contain all the fields you need. ListingPro is therefore ideal for creating multipurpose or niche directory quickly and effortlessly. Looking for a ListingPro Directory theme substitute? Have a look at the Directory WordPress Theme. One of the best online directory theme to create feature packed commercial in minutes. MyListing Review: Is It Good Or Bad?